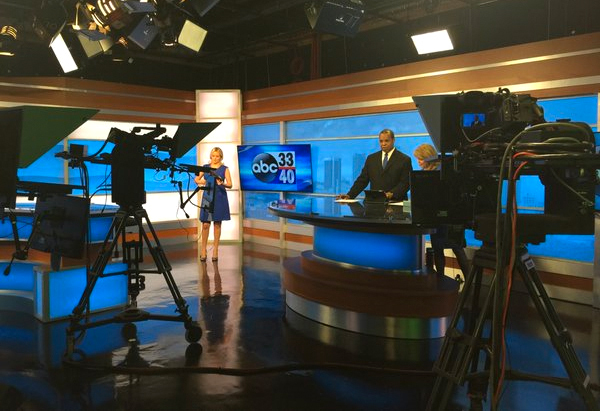 Sinclair’s Birmingham affiliate, ABC 33/40, debuted a new set design in Studio A on Monday. 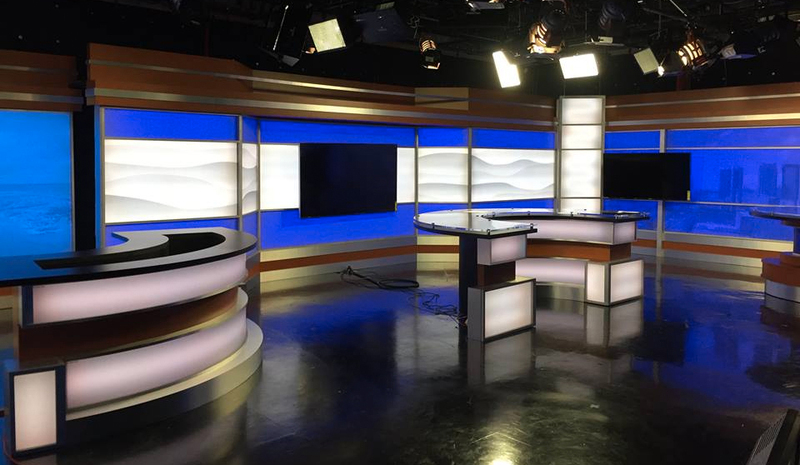 The set, from Park Place Studio, mixes backlit color changing LED panels with graphics that include gentle waving patterns, creating a unique background on-air for the main anchor desk. 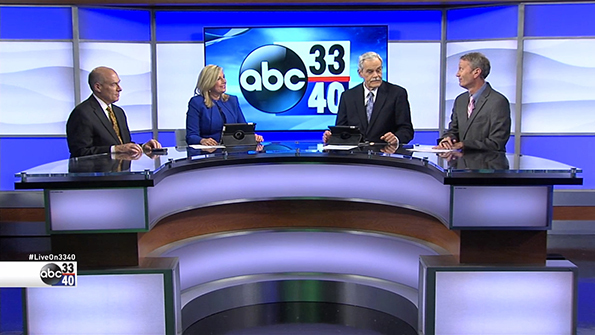 The anchor desk includes four curved rings of metal, wood and backlit paneling, placed in front of a large monitor. The set includes an anchor desk, weather center, multiple standup locations and standing desk. 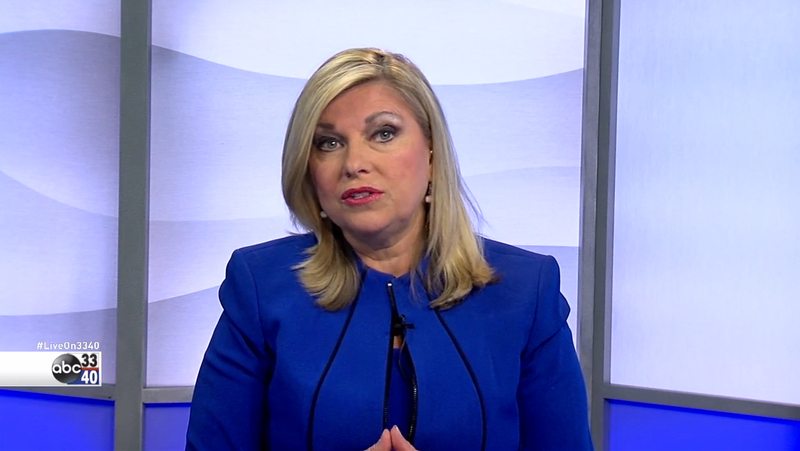 The various furniture elements feature a curved shape, mirroring the waves in the graphic panels and matching the stations Sinclair-standard graphics package. 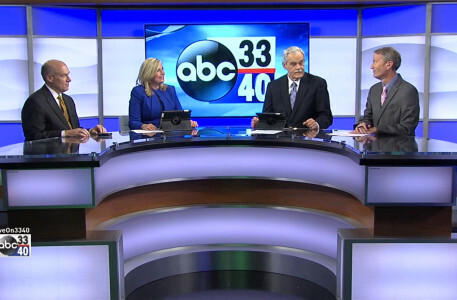 The set includes a standing desk, located to the right of the main anchor desk, which will primarily be used for earlier newscasts and interviews. Behind the secondary desk is a skyline graphic, which can also change color.